Chances are you or someone you know has recently traveled for a business meeting, conference, or professional association meeting – contributing to another state and county’s economy. 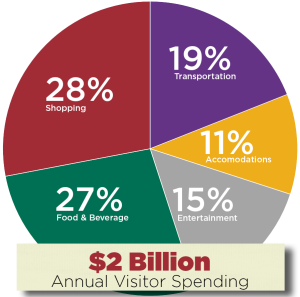 On average, visitors spend $2 billion annually in New Castle County, generating over $200 million in state and local taxes. Without this visitor spending each Delaware household would pay an extra $1,360 in taxes annually. That’s why we want you to help bring meetings home. Meet Me at Home program – an opportunity for you to become a meetings ambassador and help keep the spending in New Castle County.